This articles tells best and free AVI to MP4 converters to convert AVI to MP4 or MP4 to AVI easily. Convert AVI to MP4, MKV, MOV, and other 1000 formats. Edit, personalize your AVI video before MP4 conversion. Download videos from YouTube videos and other 10,000 sites. Burn videos to DVD with free DVD templates. Video Converter Software inclduing Wondershare, Freemake, Movavi, etc. occupy great share of video converter marketing. 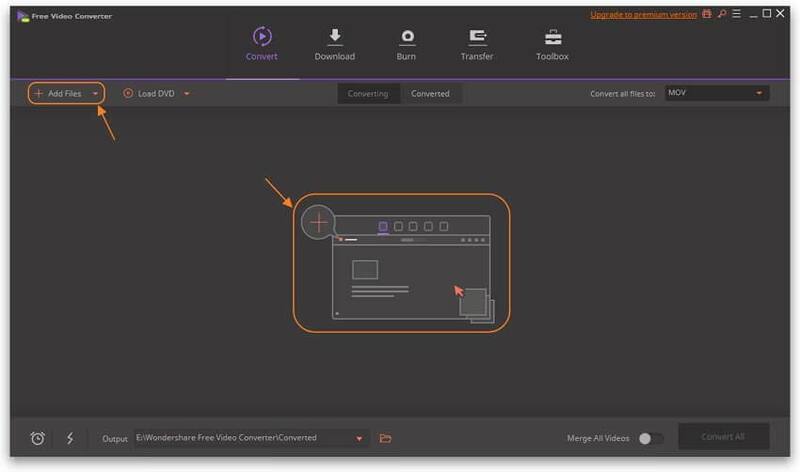 Online Video Converter rises recent years in response to the needs of converting files in the cloud, without downloading addtitonal software. 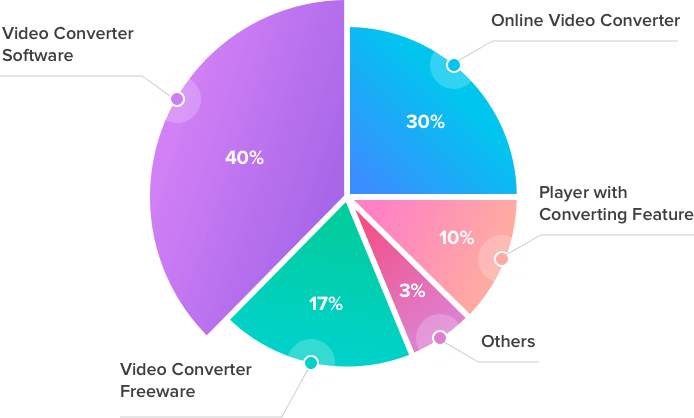 Video Converter Freeware also holds a certain portion of video converter marketing due to its relatively stable functions when compared with online video converter. Video Player with Converting Features like VLC media player, QuickTime also meet the basic converting requirements. 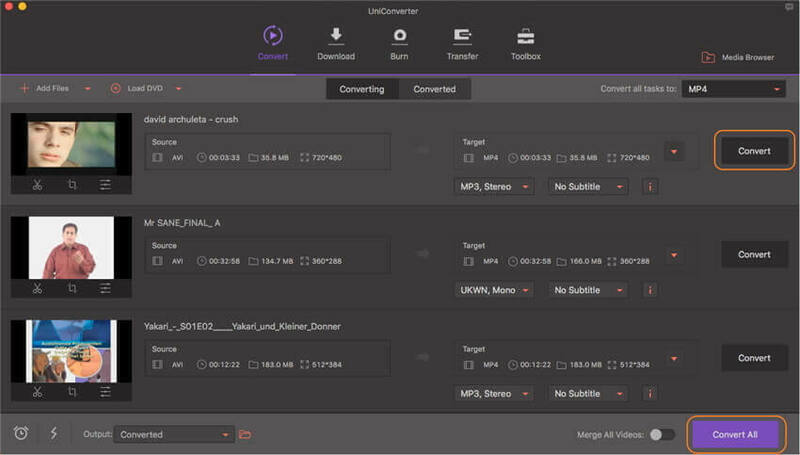 Frankly speaking, Wondershare UniConverter (originally Wondershare Video Converter Ultimate) is the best way to convert AVI to MP4 on both Windows and Mac. The following is a detailed guide on how to convert AVI to MP4 on Mac, note that the Windows version functions almost the same. Convert AVI to MP4, MKV, MOV, and 1000+ formats. Trim, edit MP4 video before MP3 extraction. Supported OS: Windows 10/8/7, Mac OS X 10.14, 10.13, 10.12, and more. Open Wondershare AVI to MP4 converter, click Add Files and import the AVI video that you want to convert to MP4 format. You can also directly drag & drop them into the .avi to MP4 converter. Click the down arrow button beside Convert all tasks to:, then select Video tab to choose MP4 in the left sidebar and select the video resolution from the right section. Click the Convert button when everything is set, and then the MP4 to AVI converter will initiate AVI to MP4 Mac conversion immediately. Step 1: Click + to add your AVI files. Step 2: Select MP4 as the format to convert to. Step 3: Click Convert to start converting your files. Step 4: Download converted MP4 file or save it to Dropbox. Step 1: Choose a .avi video or any other supported media file from your device or cloud storage. Step 2: Select .mp4 as the conversion format from the dropdown menu. Step 3: Click the Start button to start converting your file. Step 4: When the conversion is completed, click on the download link to get your converted MP4 file. 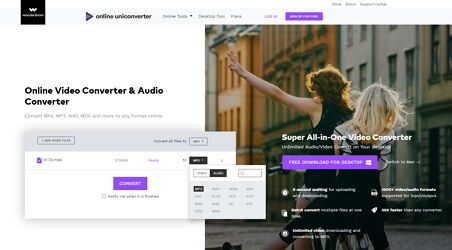 Online-Convert.com is an online converter that has all in one website. It is totally free to use for the public users, does not have a convert limitation, it allows you to add online files and can make some manual adjustment with its Settings features such as cut your video, change bitrate, frame rate, among others. Step 1: Click on Video Converter in the main window of the online AVI to MP4 converter. Step 2: Click on Convert to WMV from the left list and then click Browse button to add your MOV video or add its URL file. Step 3: Click on Convert file button to start converting AVI to MP4 online. FileZigZag is a complete online file formats converter which supports a wide variety of different file formats, including videos, documents, images, songs. It's effective, easy to use and totally free. Step 1: Click the Select button to upload your AVI files. Step 2: Set MP4 as your output format from the drop-down list. Step 3: Enter your e-mail address to receive your converted .mp4 files. Convertfiles.com is an online tool for file conversion that enables you to convert your file from AVI to MP4 with the utmost convenience and ease. You have the option of sending it to your mail for downloading it immediately for use. Step 1: Click Browse to upload the AVI file that you wish to convert. Step 2: Click the drop-down icon beside Output format and select MP4 as the target file format. Step 3: Click Convert and a link for downloading the conveted file will appear in no time. The AVI to MP4 converter free enables you to free convert AVI to MP4 easily. It functions almost the same as the steps to convert AVI to MP4 with Wondershare UniConverter (originally Wondershare Video Converter Ultimate). The main differences lie in the conversion speed and supported formats. You can freely download the freeware via the download button below and use it anytime. Free convert AVI to MP4, MOV, FLV and 1000+ formats. Trim, crop, edit AVI video before MP4 conversion. 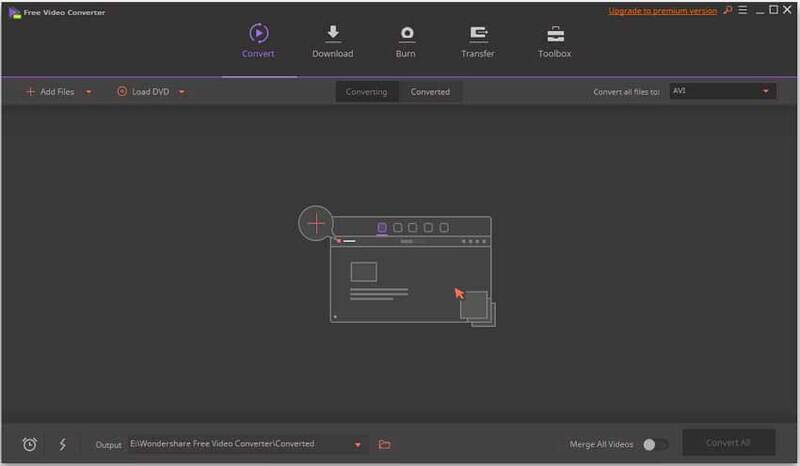 Click Add Files button to import your target AVI videos to the free AVI to MP4 converter, or directly drag and drop them to the main interface. Hit the format icon in the upper-right corner to get the full list of output format, choose MP4 under the Video tab. Click Convert All in the bottom right to free convert AVI to MP4 right away. QuickTime is the built-in video player of Mac system that multitasks and performs an array of other functions as well including video conversion. While using QuickTime there is no need of downloading any software or program as it comes bundled with the system. 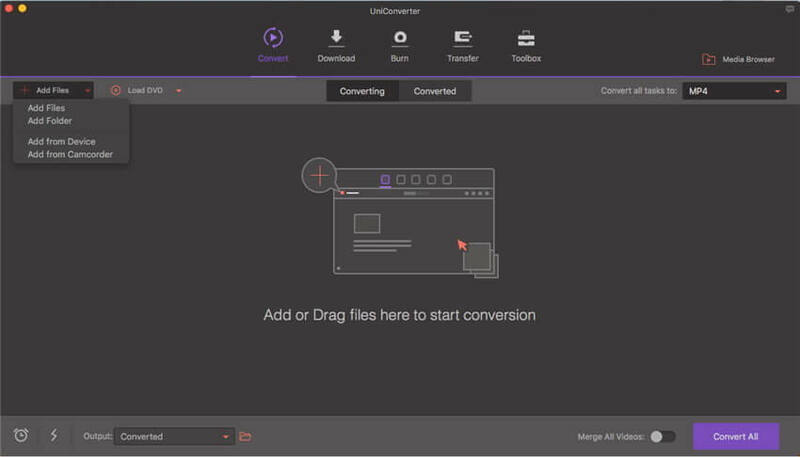 The process of video conversion is simple and quick using this free Mac video converter. Handbrake is another widely used free video converter Mac that supports an array of input formats. 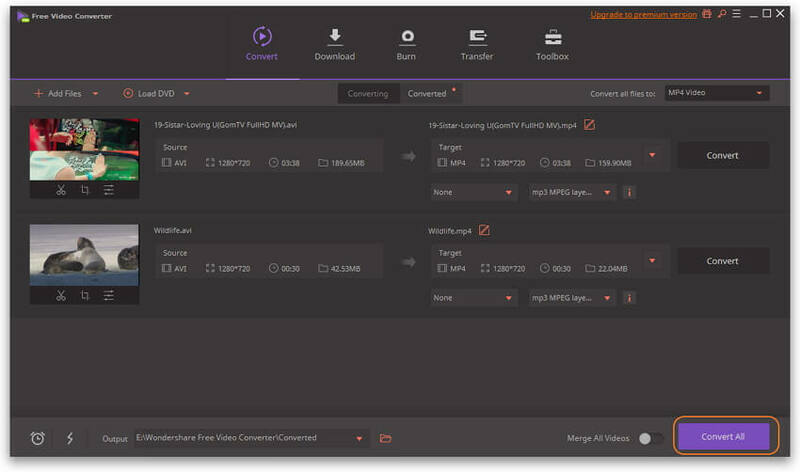 This cross-platform program is compatible with working with Mac, Windows, and Linux systems. Using the software you can convert your videos to MP4, M4V, MPG, MKV, and other popular formats. 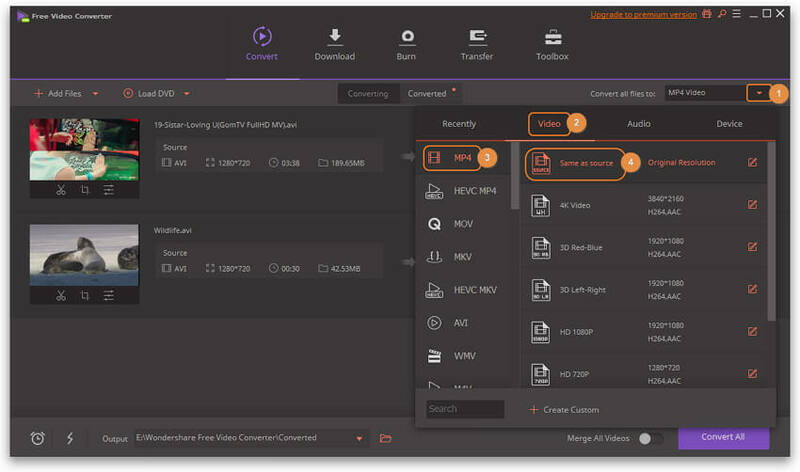 In addition to decent quality conversions, Handbrake also supports advanced features like adding subtitles, adding audio tracks, setting and customizing frame rate, changing video codec, adjusting chapters, and others. Presets for quick conversions are also available. Generally, there're 2 major reasons causing AVI playback issues. AVI (Audio Video Interleave) is a media container consists of both video and audio data compressed with CODECs (Compressor-Decomoressor), which are unavailable for QuickTime in Mac OS X.
QuickTime does not include native DivX support, even though QuickTime 6 and later support the ISO Standard MPEG-4 media compression format and DivX is based on the MPEG-4 standard. We collect 4 effective methods that help to play AVI files in QuickTime on Mac. Perian is an excellent, free, and open source QuickTime component. Download and install the 3ivx MPEG-4 CODEC as the installation instructions require in the associated ReadMe file. This CODEC adds support for a variety of DivX and other formats which often carry the .avi extension. The quickest and easiest way to play AVI and DivX files on Mac OS X is to download and install the free VLC Media Player for OS X, which has a wide support VLC is also often referred to by its original name, VideoLAN Client. Handbrake is open source and completely free command line tool for transcoding video files from one format to another. Although the interface looks complex, it's easy to use. Below we'll show you how to convert MP4 to MP3 with ease. 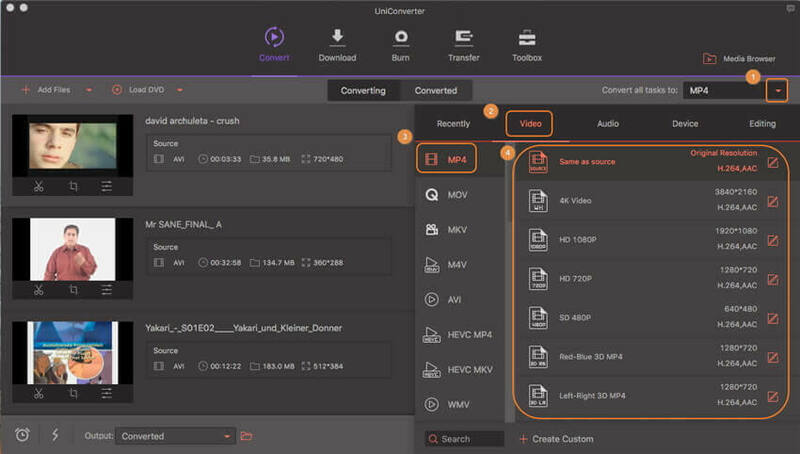 AVI files contain both audio and video data in a file container that supports synchronous audio-with-video playback. However, AVI lacks some features that newer containers like MPEG or MP4 have cuz it was developed for Windows. MP4, specified as MPEG-4 Part 14, also have many other extensions such as .m4a and .m4p. It has good compatibility makes it playable on near all devices like iPhone iPad Android and it is highly-compressed while reserving high quality. Supported Devices Microsoft devices, Game consoles, but not compatible with Apple devices PC, Mac, all kinds of mobile devices as iPhone iPad Android, etc. Learn how to convert MOV to MP4 free, online or in original quality. Get you the most suitable way to free convert MOV to MP4 in this article. We list 5 top online MOV to MP4 Converters for you to convert MOV to MP4 online. We collect 10 Free, Online and Paid MKV to MP4 Converters for your reference. We'll share you 3 ways to easily convert Webm to MP4 format. Check out the 5 best FLV to MP4 converters to free convert FLV to MP4. 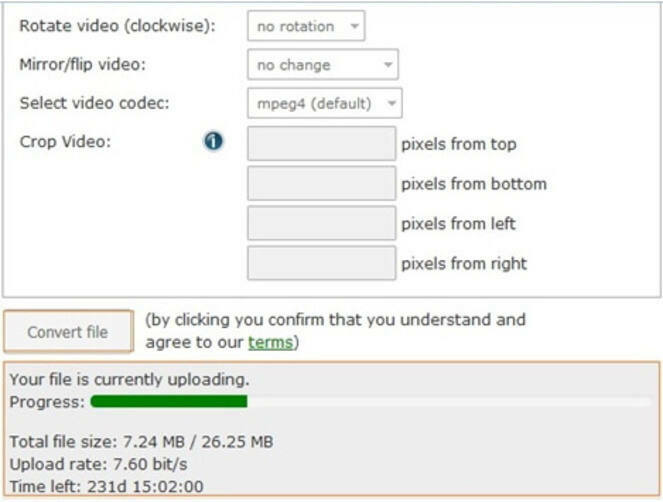 Learn how to convert WMV video to MP4 format for less compatibility issues. Know the best WMV to MP4 online video converters and the best alternative here.